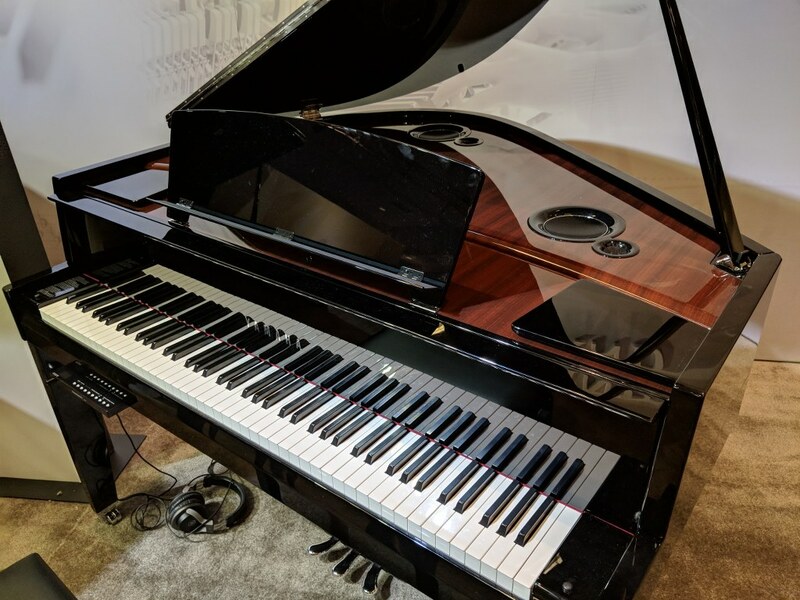 🎹 UPDATED REVIEW - January 1, 2019 - Yamaha NU1X Hybrid Digital Upright Piano - Semi Recommended - The Yamaha piano company has been producing acoustic and digital pianos for many decades and is one of the premier piano companies in the world. 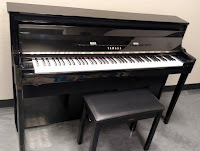 Many superstar musicians, piano teachers, and universities own and play Yamaha pianos and in fact I own a couple of their pianos and use them in my large teaching studio. 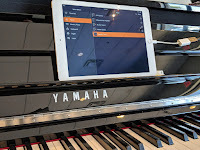 Yamaha is certainly not the only good digital piano company out there but there is no disputing they are in the top 3 companies making acoustic and digital pianos in the market today. 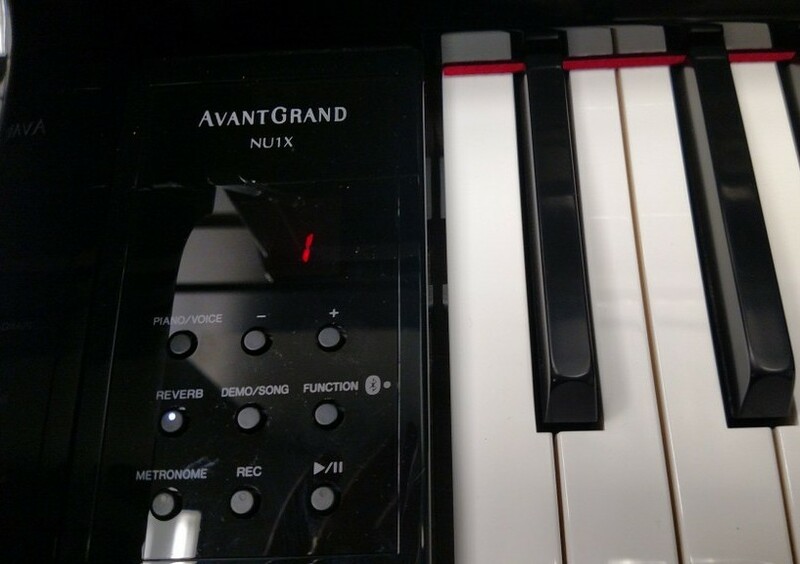 It comes as no surprise that of the 4 top digital piano companies in the world including Roland, Casio, and Kawai, Yamaha is the only company that produces a new full hybrid piano model called the AvantGrand NU1X ($5999US discount internet price for polished ebony and $6299US for the polished white color) which comes closer to replicating the actual piano key action playing experience of a real upright piano than any other model on the market today. In fact, even though the NU1X is in an upright form, the key action response is more like that of a real grand piano in terms of "feel" in my opinion and the way it moves. 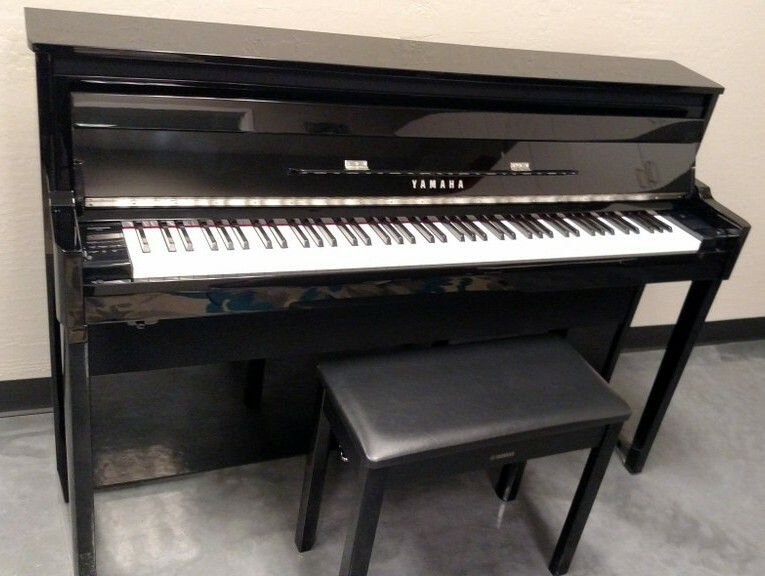 The Yamaha AvantGrand series includes the NU1X with the "U' signifying "upright" piano and the other Yamaha hybrid digital piano models are called the "N" series (N1, N2, N3X) which are designed to replicate the grand piano experience, but those models sell for well above $10,000US. 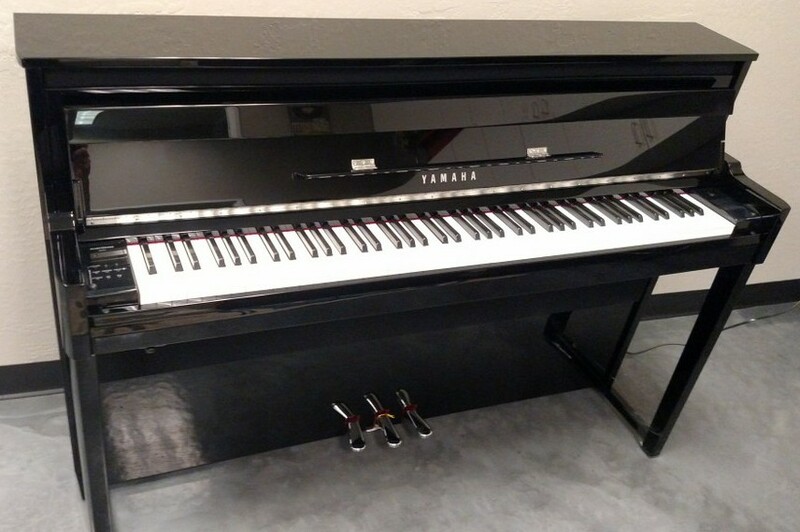 Unlike any other digital piano in this price range, the Yamaha NU1X actually takes a real acoustic key action (built by Yamaha in their acoustic piano division) including all 88 individual wood keys and all moving parts for each key that would normally be in an acoustic upright piano, and they put that into the NU1X. 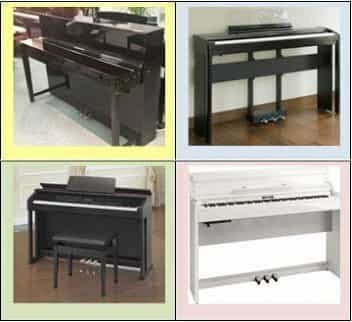 In this price range there are a few manufacturers that offer a 100% wooden key or a partial wooden key, but beyond the wood key itself there are no other real authentic acoustic piano moving parts in the other brands. This is probably because it takes approximately 59 separate key action parts per key including all the small original parts that go from the key up to the individual string in a real piano. 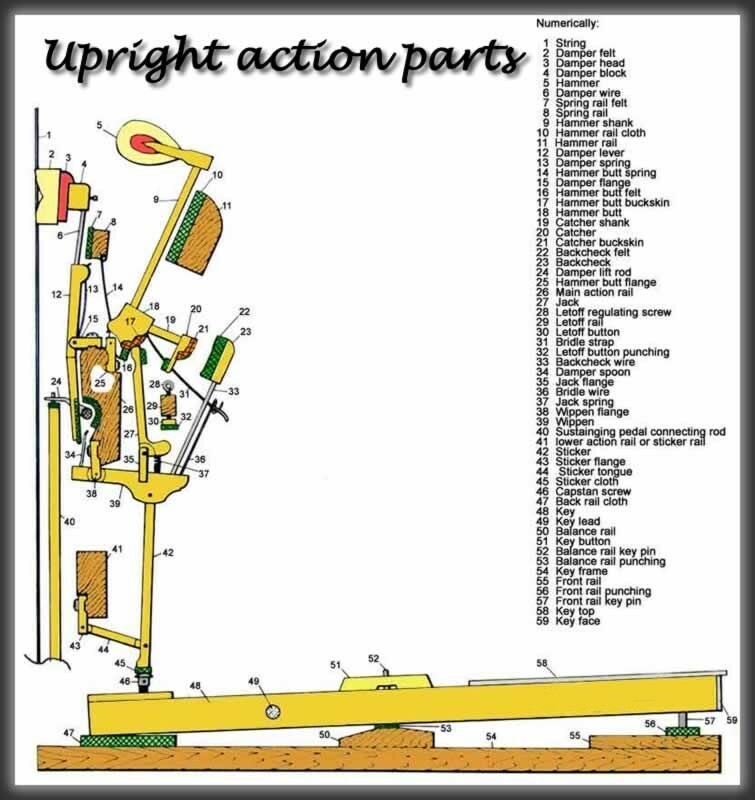 So if you took all 59 parts in the key and hammer action (per key) and multiplied that number by 88 keys (total keys on a piano), you would have 5,192 total key action parts in an upright piano of which most of those parts are connected together and move in a specific way when you depress the key. Yikes!...that's a crazy number of parts but this is one of the reasons why regular new acoustic pianos are so expensive because there are so many individual parts involved not counting the cabinet parts, pin block parts, tuning pin parts (for the strings), soundboard parts (for the strings), etc. Also, because there are so many wood and organic parts in an acoustic piano and in this NU1X, there are more natural occurring tonal vibrations which can be felt by the player as they play the piano. 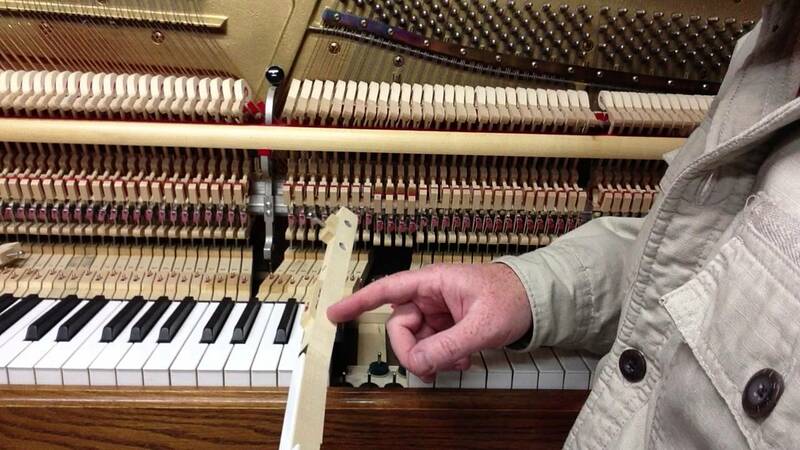 As I said earlier, the more original wood and organic parts from a real piano that are in the digital piano, the more organic and natural the piano playing experience will be. 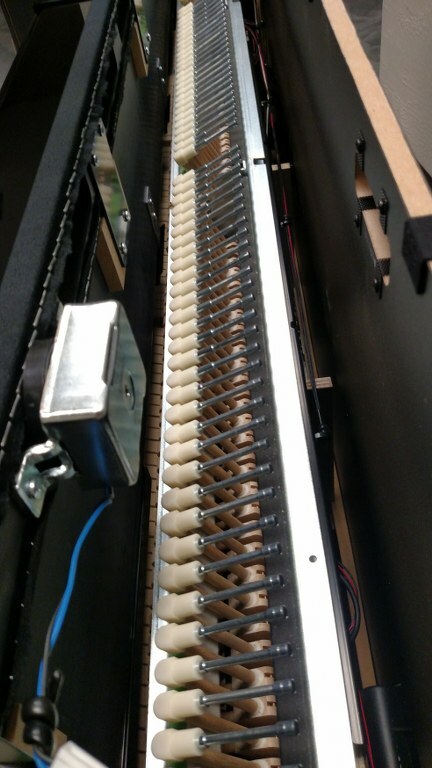 The new NU1X key action has all these hundreds and thousands of parts that work together in harmony with each minus the actual felt hammers, wood soundboard, strings, and string parts (because there are no strings inside the NU1X) since the piano sound is produced electronically and then comes out a special internal speaker system specifically designed for this piano. So there are no strings, no soundboard to amplify the strings (don't really need one), and because there are no strings the NU1X never needs tuning. 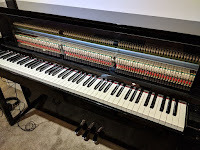 So the question is...why is it necessary for Yamaha to build a digital piano with all of these 59 parts per key (minus the actual felt hammers, etc) when most digital pianos don't have all these connected. complex parts? There are a number of digital pianos that do have wooden keys which move pretty well but the other parts of the key action are not there like they are in the NU1X. So does that really matter? The answer is that it depends on what your musical goal is and how much you are willing to spend to get there. 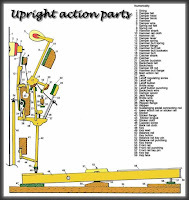 A piano key action is the most critical part of any acoustic or digital piano and the more precise the key action is, the more precisely you can reproduce the actual piano playing experience you would otherwise get from a real high quality acoustic piano such as the famous Yamaha U1 or U3 upright piano which has been a staple for many piano teachers and students for lots of years, but there is a very high cost for those pianos and they need maintenance, tunings, etc...and they are also heavy. If the the key action is awesome in a digital piano then all you need next is a great piano sound chip with authentic piano sounds coming through a high quality internal audio system where the piano sounds behave "organically" along with responsive pedaling to control those piano sounds for sustain and/or soft playing. Ultimately this is what the Yamaha NU1X is all about...an acoustic piano playing experience without the strings and maintenance! No tuning, ever, the ability to control volume with a single master volume knob if you want to play more quietly which you cannot do on a real acoustic piano, using stereo headphones to play silently so as to not disturb others in the room or in the house which you cannot do on a real acoustic pianos, and finally having the ability to interface with external devices for music education, on-line piano lessons, and/or song writing, etc using computers, iPads, etc. OK, so there is a very impressive key action in the model, but how does it translate to triggering and playing the piano sound in a way that reacts like a real piano for loud and soft, mellow to bright, playing the key lightly to get a delicate piano tone or playing the keys aggressively to get that thunderous piano sound, all of which is necessary for tonal dynamics and expression? 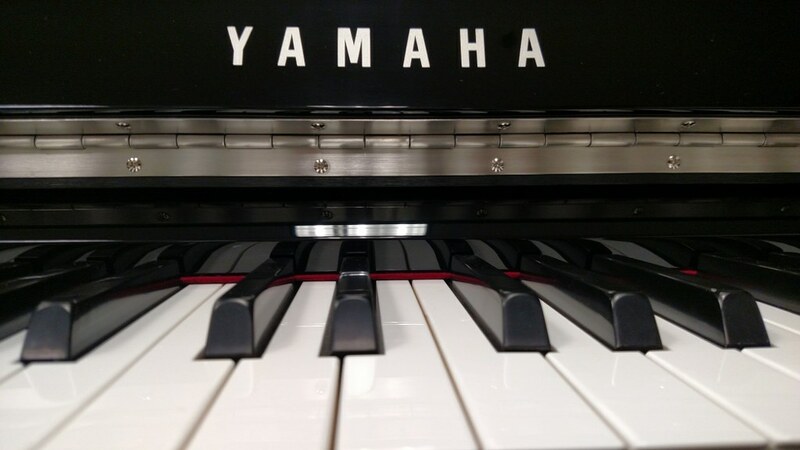 The way Yamaha handles this is by using non contact "optical fiber" as opposed to the standard physical rubber key contacts under the piano keys as all the other models and brands of digital pianos have. This allows for a more precise piano sound response without needing to be limited to just 3 key contacts under each key. With non physical key contact optical fiber, the piano does not need to rely on a limited number of physical sensors like other digital pianos but instead has unlimited potential when it comes to allowing electronic sensing of the key/hammer movement without limitations. 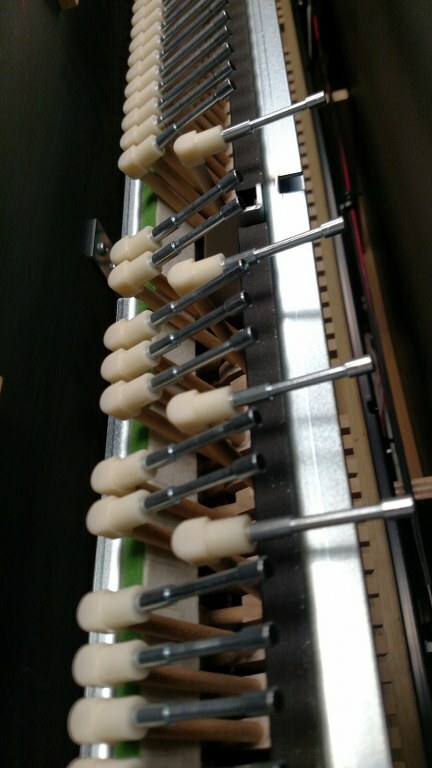 At the top of the NU1X action there are metal tubes (see pics at left side) that simulate the movement and weight of real actual piano hammers in a key action. There are no other digital pianos by any manufacturer that offer digital pianos with this kind of detailed physical action design. When the key action is moving, because of precise digital optical measurements in real time, there is an unlimited amount of electronic sensing of the key movements at many more velocities than you would get on a standard digital piano physical key contact under each key which is limited to three key sensors. 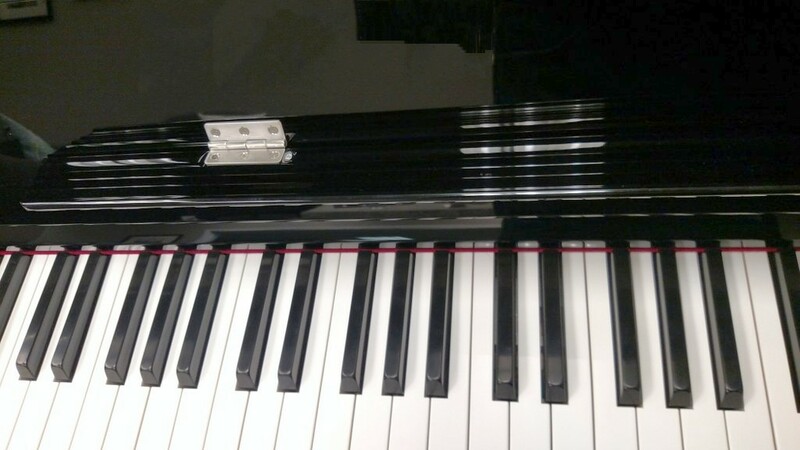 The NU1X optical sensors are triggered when the keys go up & down in the path of the optical senors so the piano sound is triggered and this type of optical sensor action also eliminates wear & tear of normal physical key contacts which then offers a longer life for the keyboard action. This technology provides more advanced key repetition recognition and more accurate key movement sensing which is very impressive and results in a more natural piano playing experience as you would get on a real acoustic upright piano. So when you consider all of the authentic piano parts this NU1X key action has combined with optical sensor technology for recognizing what the key movement is actually doing along with how and when the piano sound comes out, you have a piano playing experience that can be considered "real" which can easily satisfy beginners through advanced players in my opinion. WARNING - There is, however, one thing that I should note about the optical key contacts placed under each key that is definitely a negative thing. In the NU1X, the key action replicates a real "upright style" acoustic piano and when the keys move while being played, the velocity and key placement during key travel is measured in real time by the optical key contacts under the keys. 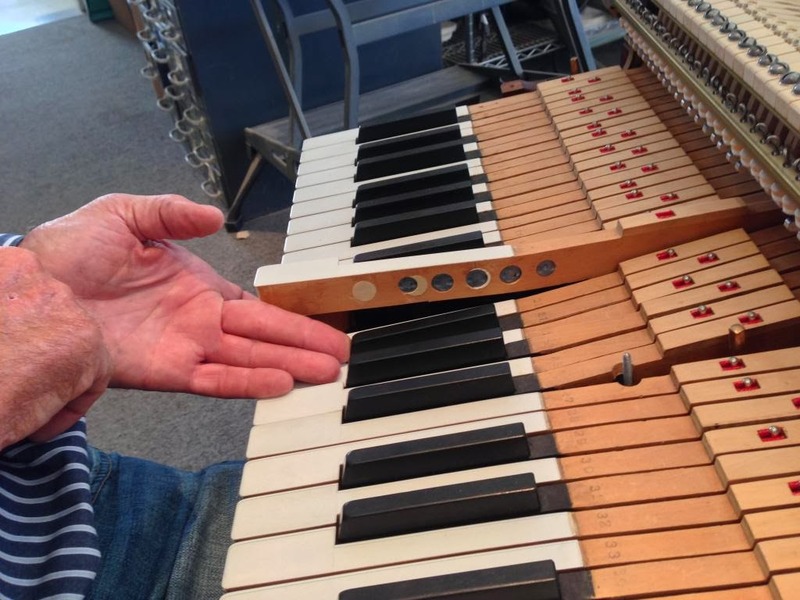 In the higher priced Yamaha "AvantGrand" hybrid digital pianos with wooden keys and wooden action parts, the optical sensors are not only under each key doing real time measurements, but there are also optical "hammer" key contacts where all the hammers are located. The NU1X has "hammers as well (see left picture), but there are no optical key contacts there for additional real-time velocity and hammer position measurements like there is on the AvantGrand series. So why am I talking about this and why does it matter? Well...here is the reason...when playing the NU1X piano, when you are playing softly in volume and the keys are being repeated or played rapidly during the song, I have found that occasionally, depending on the position of the key during its key travel (where the key is at at any time while you are playing) especially when the key only comes back up about 1/2 way and then you quickly press the key back down again, the softer volume that you are playing at will just randomly jump up to full volume on random notes when you are playing. In other words it's like playing the notes at a low volume and then one of those notes just randomly jumps up to full volume. This is a pretty well known anomaly among some NU1/NU1X owners and so far it appears that Yamaha has not done (or been able to do) anything to resolve it. If you are the type of player who plays at a medium velocity or harder or plays pretty loud all the time then you may not encounter this issue. But if you play piano in the way that I mentioned or at least play that way occasionally, then this anomaly may occur to you. It does necessarily not happen often, but it does happen (it is not someone's imagination) and I can generally get it to happen almost every time I play this model. A few other things worth mentioning with regard to the NU1X key action is the fact the keys are properly weighted and graded in weight from bass through treble. 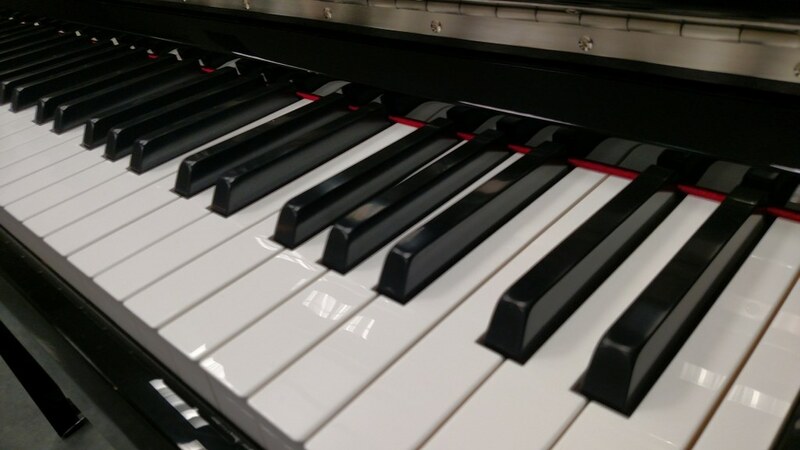 There are actual physical weights in each key so that the bass keys have more weight as opposed to the middle octaves and upper treble octaves which have less weight, just like real acoustic upright and grand pianos. Also, unlike plastic key actions in digital pianos, each key in the NU1X is cut, installed, and operates independently of the keys next to it so that every key has an independent see-saw movement and is also more stable because each key is placed over an individual center metal pin so that the motion of that key can be isolated from any key around it plus that type of construction and key installation allows each key to function in tight formation one after the next without the lateral key movement that can occur in some non-wood digital piano key actions. All of this is to say that the key action in the NU1 is the "real deal" and the only other digital piano key actions made like like out of any brand are the much higher price Yamaha AvantGrand "N" series which go to the next level in replicating full size grand piano key actions. As for the piano sound chip and the dynamic tonal realism that people are looking for, in my opinion the NU1X does not disappoint. In the prior model NU1, I was not very happy with the piano sounds because I felt they were just too artificial relative to what I had expected and what a good acoustic piano actually sounds like. However, in this new improved model NU1X, Yamaha completely redesigned their piano sound technology by using upgraded sound samples coming from the top Yamaha acoustic concert grand and the top European Bosendorfer (from Vienna Austria) concert grand combined with a new physical modeling process which Yamaha calls VRM or Virtual Resonance Modeling. VRM allows for more organic elements of a natural piano sound to be incorporated and mixed into the actual piano sample so that you will hear vibrations and tonal reproductions from the wooden cabinet of a real piano, from the soundboard of a real piano, from extra long natural sustain decay time using pedaling like a on a real high quality piano, and even from sympathetic overtones and resonances you would hear in a real acoustic piano. With this Virtual Resonance Modeling technology combined with Yamaha's new higher quality piano samples in stereo with a maximum 256 notes of polyphony and having all this sound come through a new improved internal sound system (which it needed), the NU1X rises to the occasion in my opinion of producing possibly the most natural feeling, natural sounding acoustic piano playing experience from a digital piano in any brand under $6000US internet selling price. It is interesting to note that the piano sound chip in the NU1X are the same sounds that are in their CLP Clavinova series digital pianos. 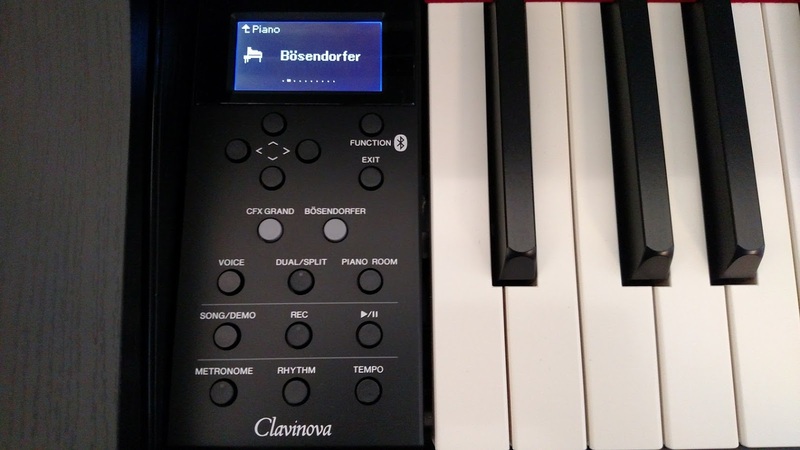 So should you want to spend a bit less money but want a quality piano playing experience with those same upgraded acoustic piano sounds from the NU1X, then definitely check out the Clavinova series, especially the CLP645 in polished ebony cabinet which sells on the internet at $3999US discount price. One more important area of the piano with regard to piano sound are the three pedals which include damper-sustain, sostenuto, and soft. Without good responsive pedals that also physically operate properly, your piano music especially for those who play at an intermediate through advanced levels, will be noticeably less realistic, have shorter sustain-decay times, and your music will sound more artificial. The most important aspect of the pedals is the damper-sustain (the right pedal) which should enable the piano sound to sustain (hold out the piano sound) at proper volume and sustain time levels so your music won't be choppy and therefore will have a more beautiful tone. On digital pianos when playing a note and holding the right pedal down, the damper sustained piano tone will be heard and then eventually fade out over time which is commonly called "decay time" or how much time it takes for the sound to fade away. 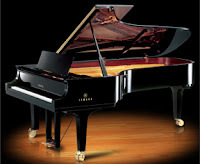 On real acoustic pianos the decay time is relative to how large the piano is, the size of the strings, and which notes are being played including bass notes, middle octaves, or upper treble octaves. The fade-out time for the piano sound while holding down the pedal can be anywhere from about 10 seconds or slightly more on the higher treble notes up to about 30 seconds and more on the middle to lower bass notes. That's a pretty long time but is necessary to achieve good harmonics, overtones, sympathetic vibrations, and resonances and to make your music sound fuller. 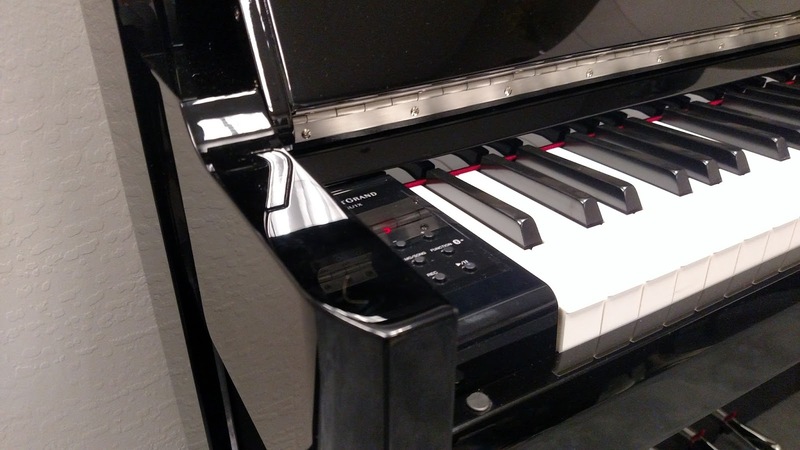 On many poor quality digital pianos the sustain decay time can be anywhere from 3-10 seconds total sustain time from upper to lower octaves on the keyboard. That kind of poor response makes the digital piano sound very artificial as well as sounding like a toy. The NU1X is up to the standards of a real acoustic piano in this area of sustain-decay time with very long fade-out times on both the upper and lower octave notes so your music can be more natural and that's something which is personally important to me when I play piano. 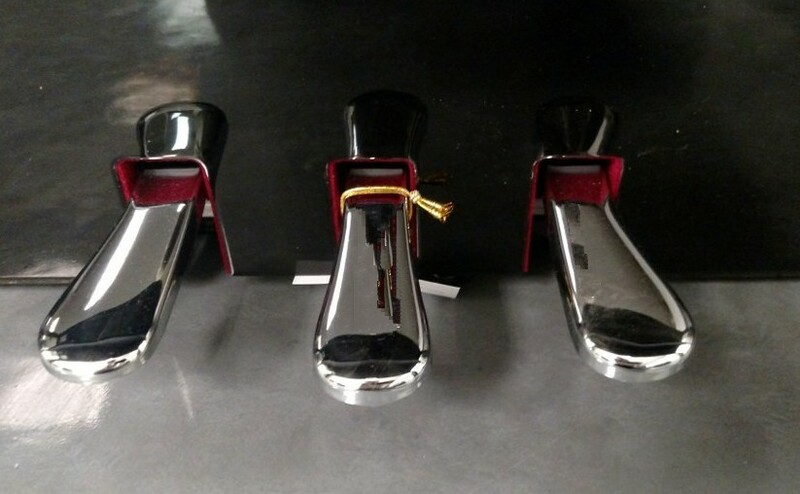 Not only do the physical pedals look attractive and contemporary in their chrome finish, but they work well going up & down because of the new Yamaha GP response system, but they do what they are supposed to do in replicating a high quality acoustic pedaling experience for all three pedals that you would get on a real high quality acoustic piano. The pedals are spaced out correctly and are the proper size so there is no compromise in that area. 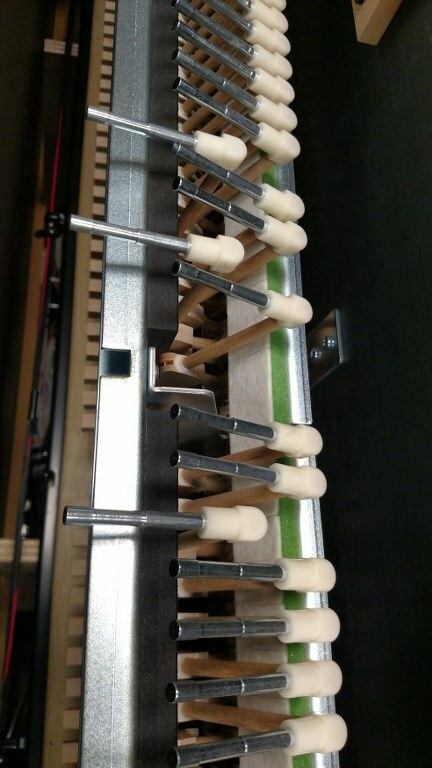 The GP system offers the grand piano damper pedal experience along with different levels of physical resistance in the pedal as you press down on it, which is pretty cool. Beyond that, the NU1X also has a half-damper sustain function which enables the player to have a variety of sustain levels from short to long depending on what position your pedal is in when it is depressed, and that will give you a lot more control over the music. So when it comes to pedaling, in my opinion the NU1X pedals feel good without being too heavy and those pedals (including sostenuto and soft) respond well in giving the playing the type of control over the music that advanced players look for. There are piano shoppers out there who tell me they don't need much more functionality and features in a digital piano other than they really just want the piano to just be a great piano and technologically maybe offer a few more things such as some additional piano and instrument sounds, a bit of recording capability, an electronic metronome, and some device connectivity to interface with a computer, iPad, etc. Basically that is what the NU1X is all about...a minimalistic approach to technology but in a way that still offers enough useful features for most people but not much more. The control panel is to the left side of the keyboard and has 9 very small hard buttons on it to control the user interface. The control panel uses a small LED display screen which displays numerical numbers and very basic letters to signify what functions or features you have selected. As someone who likes and appreciates digital piano technology, I personally do not like the user interface experience in the NU1X and it was pretty much the same thing on the previous NU1. In my opinion the buttons are much too small, to hard and firm to press down easily, and the LED screen is using old technology in trying to get you to understand which feature you are actually using. With all the technology, buttons, and display screens that Yamaha has at its disposal in other digital piano products, you would think that they would have done a better job in this area with the new NU1X model...but they did not. With regard to pressing buttons or having display screens on the piano, I know that some people will say..."I really don't care about the user operational experience of the piano because I just want to play the piano and not much more. But in this higher price range and given where we are with improved technology these days, in my opinion there really is no excuse why Yamaha could not have devoted more attention to the user control panel and maybe just put in the same, more advanced control panel they already have in their new Clavinova CLP series of digital pianos, which is very nice and easy to navigate (even if Yamaha had to modify it just a bit). As far as I am concerned, that would have been a perfect solution in allowing the user to have a more intuitive and satisfying way of using the features of the NU1X as opposed to making it more difficult to use and also making the piano look "old & tired" with regard to regurgitating old control panel technology because it was cheaper or easier to do. Yes, I know...Yamaha probably wanted to make this piano look as "minimalistic" as possible like they did in their previous NU1 model. But they could have also accomplished this task in a different and more updated way that would have been a lot more satisfying. The piano already costs big dollars so how much more could it have been to update the display screen, buttons, and user interface?...definitely not much more and it would have been worth it because once a person buys this piano it's not likely they are going to buy another piano for a very long time...if ever again. 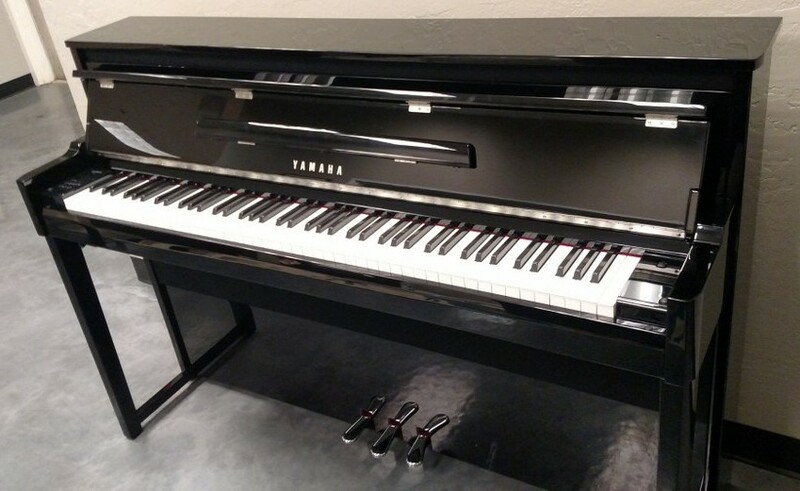 When I see so many good improvements in this new model when it comes to the actual piano playing experience and then Yamaha has to stick in its old, unintuitive technology when it comes to the control panel user interface, I just don't understand why they would not want to update it but still keep it minimalistic in appearance? Yes, you can still access the features of this piano using the controls they have now, but that is not the point. Oh well, I guess you can't have everything but I was really hoping Yamaha would come out with an impressive change to that area of the piano because they already have the newer technology in other models, but they did not include it in the new NU1X in terms of their hardware. But on the brighter side of technology, since I first published this review Yamaha just came out with a new way to interface with the features and functions of the NU1X using their new Smart Pianist iOS app for iPad and iPhone which allow you to download this new app and control the NU1X from there. Now all the issues I have with the user interface of this piano have pretty much been solved when using this app to control the NU1X. If you have an iPad or iPhone (or will be getting one) then all you need to do is download the Smart Pianist app for free from the app store and then connect the device to your piano and start using the app to change instrument sounds, use the recorder, add reverb effects, transpose to a different key, and play songs, etc and the operation to do this is simple, intuitive, and works great and the visual icons and controls that Yamaha has put into this app are fun to use as well. 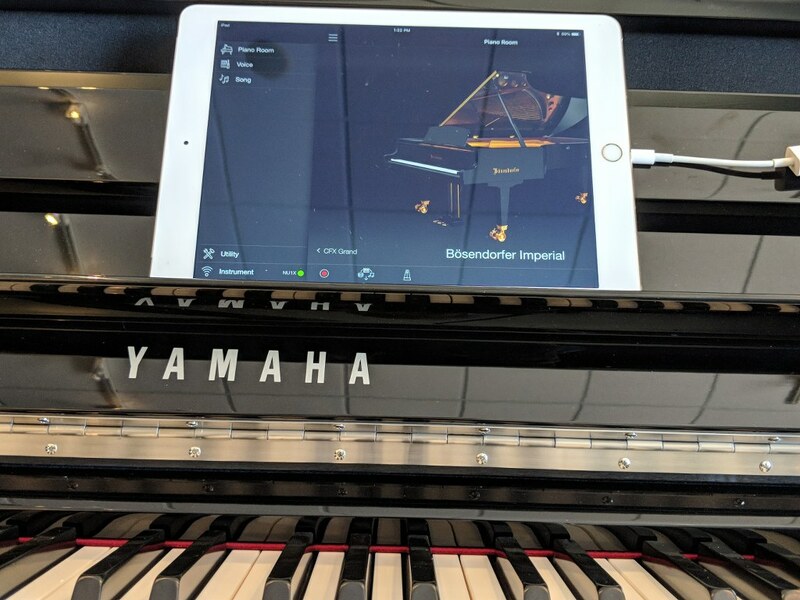 So even though I still would like to have seen a much better user interface built into the NU1X, if you have an Apple iOS product and connect it to the piano using an appropriate optional wireless MIDI connector (available on-line) or you connect your device with a proper USB cable, then you can control the piano and select the features you want to use in a much more understandable and enjoyable way on your iPad or iPhone. 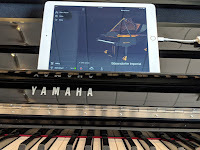 Yamaha is also making use of their Smart Pianist app on other Yamaha piano products such as their Clavinova line of digital pianos so that you can control those features as well from the Smart Pianist app. 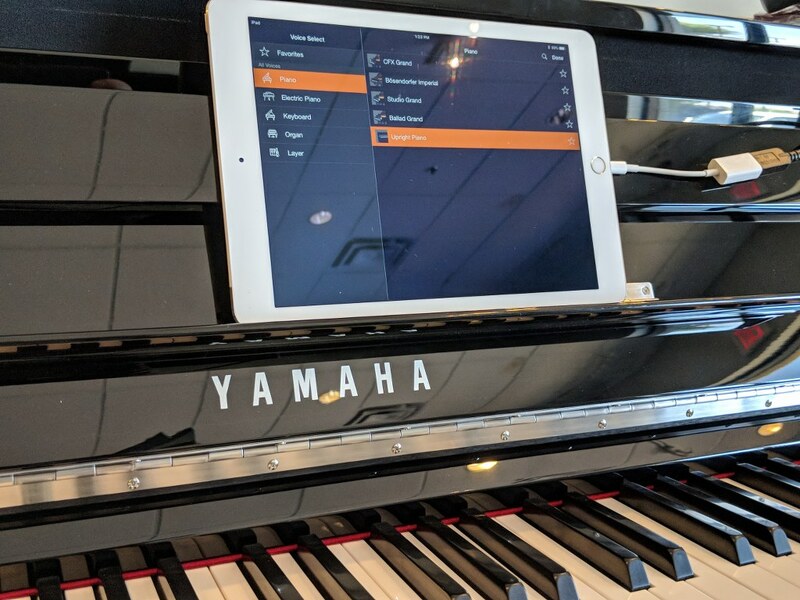 The NU1X just got a whole lot better because of Yamaha's commitment to technology with regard to external devices such as iPad (Android control should be coming soon) in helping to interface with the cool features of their digital pianos. OK...so now on to some other features of this piano which includes having adjustable touch sensitivity, reverb/echo effects to add more of a large room or hall effect on the piano sound, a 1-track 10 song MIDI recorder although I wish it would have been a least a 2-track MIDI recorder for separate left & right hand recording, a useful 1-track wav file audio recorder (which was not on the previous model) so that you can take a recording of yourself and transfer it through a USB flash drive inserted into the piano to then play on your computer or convert it to an MP3 file to play on your iPhone, iPad, etc. There is also an adjustable digital metronome for help with rhythm and timing along with tempo control, the ability to transpose electronically to any key, intelligent acoustic control, a stereophonic optimizer, and having a total of 15 very pleasing instrument sounds 5 of which are acoustic piano tones, 3 electric piano tones, 2 different classical harpsichord tones, 1 celeste, 2 pipe organs, 1 pop/jazz organ, and a piano-strings layered combination sound which is very nice. The prior model NU1 only had 5 total instrument sounds so the NU1X is definitely an improvement over the prior model in terms of the total sounds as well as the quality and authenticity of those instrument sounds. Unfortunately none of the 14 single tones can be layered or split with each other which is unfortunate in my opinion. 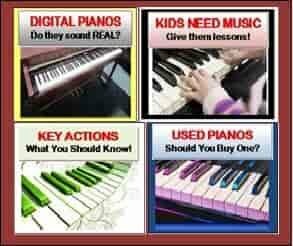 Even the most basic inexpensive digital pianos can do that as can all the other non-AvantGrand series of Yamaha digital pianos. 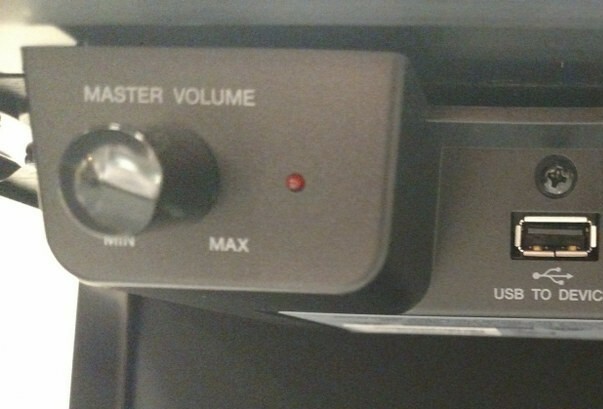 Yamaha obviously thinks the average user won't care about that aspect of tone control on this model, but I beg to differ. If you're going to make a digital piano then at least put in the basics when it comes to the instrument sounds and what you can do with them. This just proves that in reality the NU1X is all about piano playing and most of the other features in this model take a back seat. Finally, with regard to the control panel, the master control volume is located just underneath the front of the piano on the left side so that you don't see a volume knob or volume slider on the actual control panel itself which is a nice touch and minimizes the digital controls. 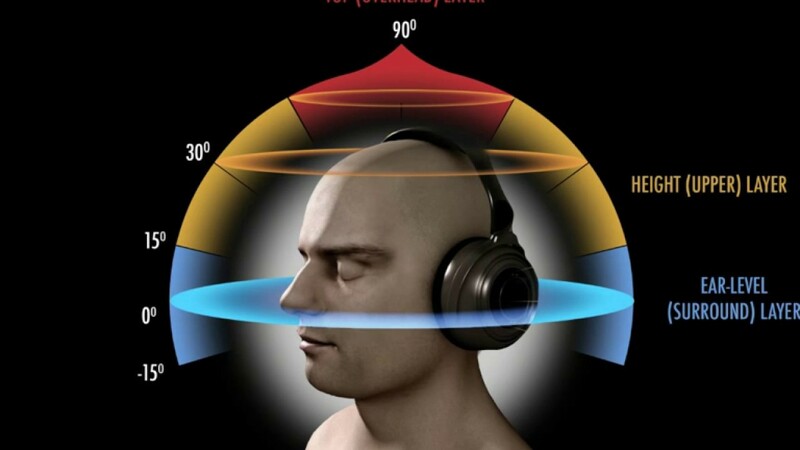 On the NU1X as in the previous model, you can use stereo headphones to practice in privacy. But in the new NU1X as well as the new Clavinova 600 series,Yamaha has developed a new headphone technology called binaural sampling which simulates an audio multi-dimensional effect in which the result is like hearing the piano sound all around your head (as if you were not wearing headphones) rather than directly into your ears like normal headphone sound. This special effect is the result of Yamaha using a variety of specialty microphones to record the actual piano sound experience coming out of their top CFX acoustic grand piano and then processing that sound in a way to where you hear it through stereo headphones (any brand of headphones) like it would sound in an acoustic environment. It a very cool listening experience and only applies to the CFX piano sound and not to any other sounds in the NU1X. 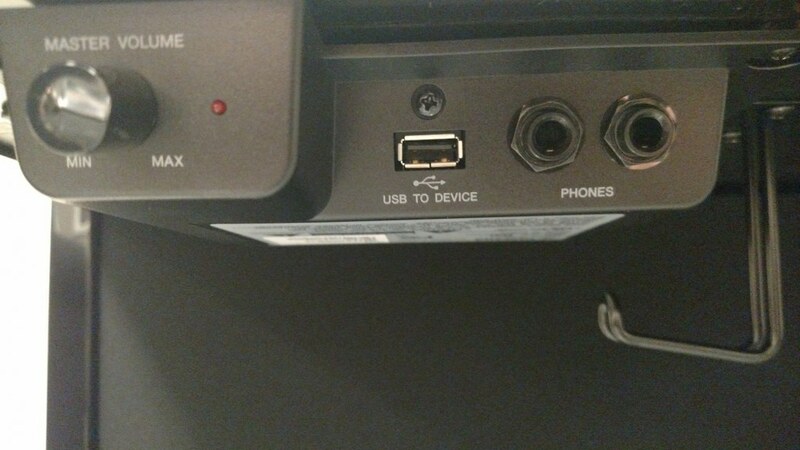 As far as connectivity goes, the NU1X has USB output to external device (computer, iPad, etc), USB flash drive memory stick input, 2 stereo headphone jacks, MIDI in & out connectors, stereo mini audio input jack, and dual auxiliary audio output jacks. A new feature on this model is audio Bluetooth connectivity. 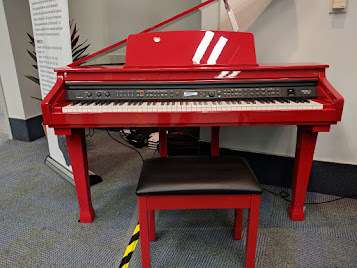 There are a few different digital pianos offering this feature these days including all off the Yamaha CLP Clavonva pianos with the exception of the first two models. Bluetooth audio connectivity enables you to run your iTunes/ Google tunes through the very impressive piano speaker system wirelessly without need for cables so that you can hear your prerecorded audio song files coming through the piano speaker system from whatever Bluetooth song player device you may have. This is a very useful feature because then you don't have cables connected to or on the piano to get in the way of the cabinet and make things look messy, and the internal speaker system in the NU1X really makes the songs sound great. You can play along with them live on the NU1X hearing them through the speakers or through the headphones too. With Bluetooth connectivity one of the big benefits to that technology is that you can control your music from other parts of the home or room so that you do not need to be nearby to select, play, and hear your audio songs through the piano. 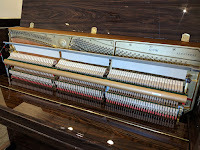 So when it comes to connectivity this piano has what most piano shoppers want...lots of flexibility. The quality of the internal speaker system in the NU1X is far superior to the previous NU1 in my opinion. In the past model I did not particularly like the sound coming through the speaker system because it sounded artificial to me and not at all like a real piano especially because sound was not coming out near the middle to top of the piano where hammers are normally striking the strings. In the NU1X Yamaha really improved that part of the playing experience with a more robust speaker system offering better components, more audio power with 4 speakers going into 180 watts of power. 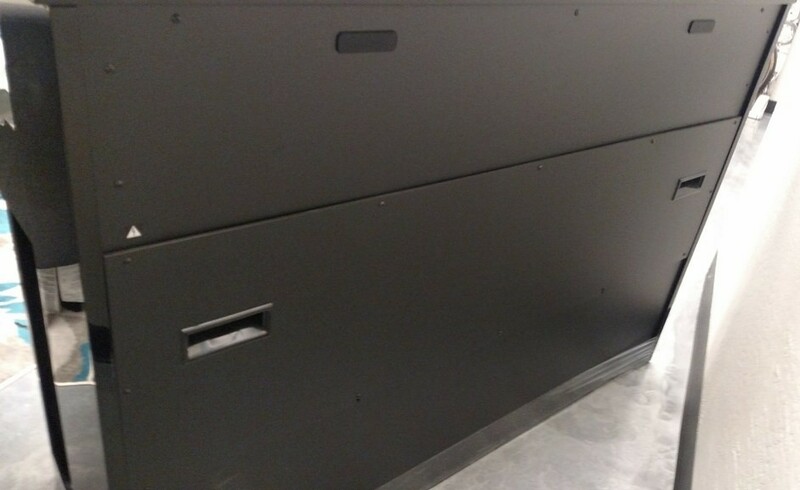 There are speakers at the top front of the piano pointing out to the player through an escapement slot in the piano so the piano sound can easily get out to the players ears as well as large speakers below the keyboard inside the piano coming out down by your legs as you're sitting down. 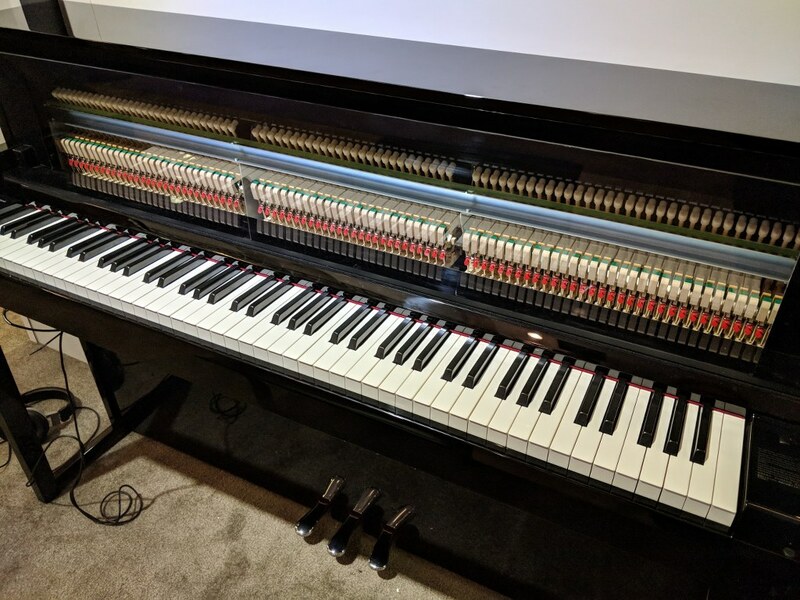 I really was surprised how clear, lifelike, and encompassing the piano sound was when I played the NU1X through its speaker system as compared to the older NU1 and I believe the piano sound coming from this piano will be more than enough to fill a big room without any problem. 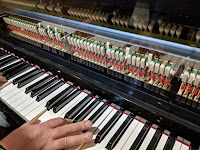 Speaking of sound, in an acoustic piano there are sound vibrations which come through the body of a piano coming up through the wooden keys when the hammers strike the strings and all those piano sound vibrations can be "felt" by your fingers as you touch the keytops. 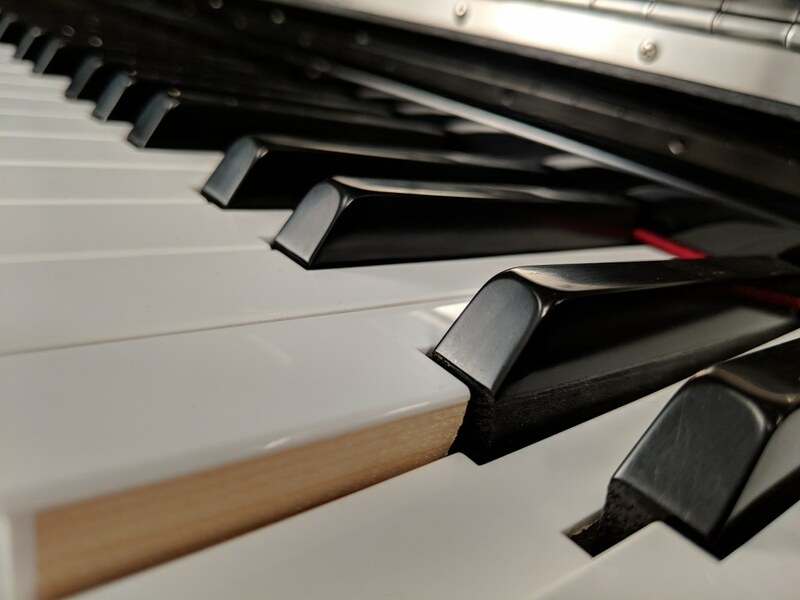 In other words, the keys themselves in an acoustic piano actually vibrate just a bit because of the strings causing vibrations throughout the body of the piano which can be felt by your fingers as they sit on top of the keys. All those organic wood parts that connect each key to the hammer in a regular piano are resonating when the strings are vibrating and being heard which gives the player a much more organic connection to the piano. So not only can you hear the piano but you can feel what you are playing through the keys. The NU1X actually replicates this experience because of the authentic wood key action and how the speaker system resonates the piano sound through the body of the piano. 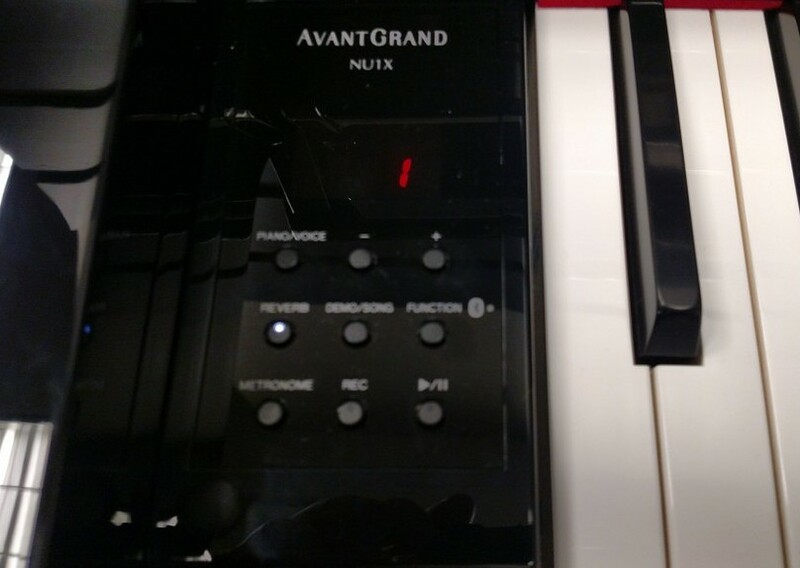 I never did get that tactile feeling from the Yamaha Clavinova digital models because their key actions are completely different, but I do get that feeling through the AvantGrand pianos including the new NU1X. For those of you who do not play piano or are just going to play recreationally, this extra natural feeling in the keys may not make a difference at all in your piano playing. But for some other people it's just one more thing that elevates the NU1X above its competition in the world of digital pianos. 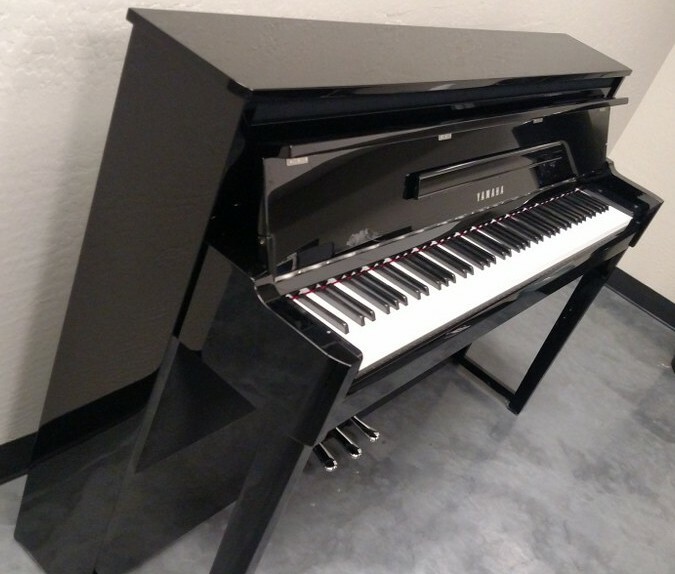 I really do like the design and look of the NU1X cabinet at approx 40" tall x 60" wide x 18" deep and this new model looks just like a real acoustic piano although the weight of this model being only 240lbs is definitely lighter than an actual acoustic piano of the same height which weighs approximately 350lbs. I think the design of the NU1X is quite elegant with its front support legs and contemporary lines combined with a few nice curves along the outside of it and a music holder rack that can be flipped down to support the sheet music once the key cover is opened up. In my opinion the NU1X is an outstanding mix of just enough features to keep most people very happy who like technology along with a cabinet design and finish including a slow-close fallboard key cover and matching padded bench which offers an expensive look to all of it while keeping the measurements and weight in just the right place that work for most rooms. 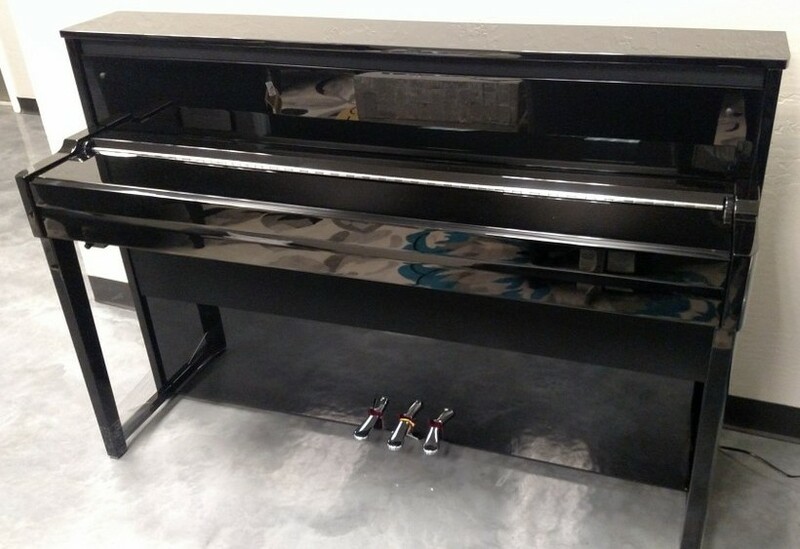 The back of the piano is closed once it is assembled so that you cannot see through the piano from the front of it and therefore does not give off the appearance of a typical digital piano. Other than a few buttons and a simple LED screen on the piano which goes dark in a few seconds after you select a function button, the piano takes on an acoustic look to it and can fool someone into believing that the NU1X is really just a nice looking, great feeling, beautiful sounding acoustic piano which is always in tune. 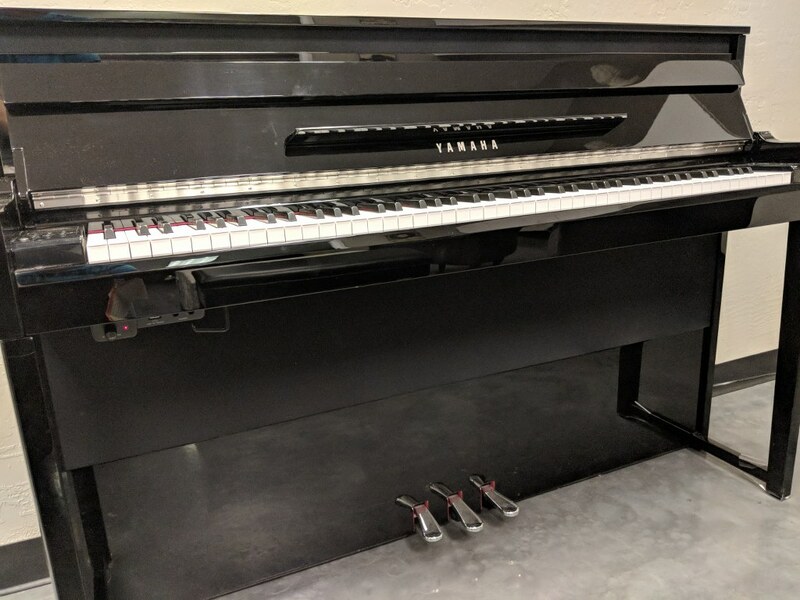 But for its $6000 price tag, it better be nice and do something special because you can buy some pretty nice new acoustic pianos and other digital pianos for that money! 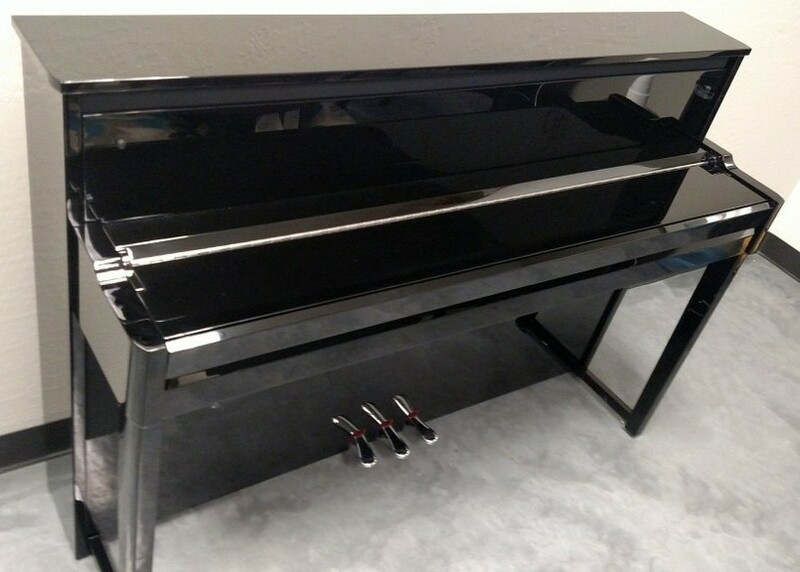 So why would someone want this piano when there are so many other options? That's a pretty easy question to answer because the NU1X is the only digital piano on the market in its price range which has an authentic "complete" (except for the felt hammers & strings) acoustic piano key action inside of it along with being able to produce a very impressive grand piano sound with traditional full pedaling with no tuning ever and the ability to be played quietly or silently. Being able to connect with external devices is also a big plus for many people. You cannot do any of that with a regular acoustic piano in this price range and other digital pianos such as Yamaha CLP and CSP models are great as are some Roland, Kawai , and Casio digital pianos, but those models are for other purposes and are different in a number of ways. If it wasn't for the random loud notes that happen on occasion when playing as I mentioned earlier, or the noticeably noisy knocking sound coming from the key action when the keys hit bottom (especially when the master volume is not up loud) that I also mentioned earlier, then this would be a 100% great choice. But unfortunately I have to knock off some points for the couple of negative things I outlined and only give this model a "semi recommendation" instead of a full recommendation. However, with that being said, if you want something simple to use that is very attractive and closely approximates a real upright acoustic piano key action that can produce a grand piano sound experience, then the Yamaha NU1X may be the perfect piano for you. Thank for for this very thorough review. The effort is appreciated. 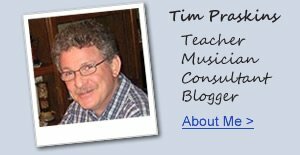 Tim, what a fantastic review... Thank you so much for everything you do. 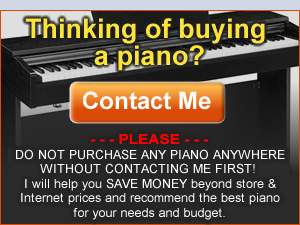 I wished I lived in the US so that I could thank you by buying my next digital piano from you. I’ve only been playing for 1.5 years, but was very discouraged that even high-end digital pianos keyboards were, in my beginner’s opinion, far from feeling similar to my teacher’s U1. I discovered hybrids (NU1X) this week and… wow. This is much closer to the real deal, in terms of touch. I am worried however about the loud notes defect. 1. About the loud notes defect: NU1/NU1X owners say that as their technique improved, the problem became rarer or never happened anymore. I suppose that it comes down to letting the key go back up sufficiently before hitting it again. But is this actually “improving the technique“ or is it bad practice, just a way to get around the defect? And do you feel like this makes sense, that you can improve your technique and get rid of the defect? Or you shouldn’t have to improve your technique for the piano to sound right? 2. If you do not think that improving technique will help with the issue: at what “level” will a student start noticing the issue while playing? I understand that “time” depends on each person, but is it an issue you might encounter in your first 2-3-4 years of practice? Or can one buy the NU1X for these first years and then upgrade when starting to play more advanced pieces, that triggers the defect? 3. You “recommended” the NU1, but only “semi-recommend” the NU1X, despite saying that it has improved everything that was not perfect in the NU1 (better speakers, better samples, VRM, binaural for headphones, slightly improved keyboard). Is it because you had not discovered the loud notes defect at the time of trying the NU1, and would only have “semi-recommended” it had you noticed the defect?